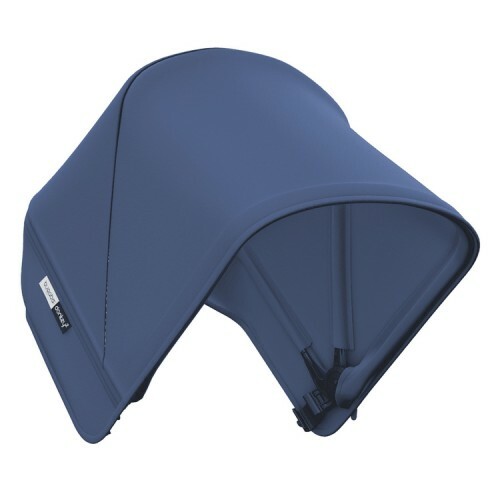 The multi-functional bugaboo donkey² extendable sun canopy provides protection from the sun, wind and rain. The highly-durable fabric is water repellent and provides UPF 50+. Position the sun canopy - open, closed, or extended - to ensure your child is protected throughout the day. Choose from an array of different colours to match your pram base or give it an extra pop of colour.